Some people feel that Newark is controlled by outside forces and trends. This is not always true. Still, outside events did exist during Newark's first century, which straddled the late 17th and early 18th centuries when the community was involved in the French and Indian War. Sad to say, Newark's involvement in the war was as a pawn in an international chess game played out in Paris and London, with stakes all over the world. This part of history sometimes is referred to as its real first world war. While Newark's role was relatively small in the global chess game, it was nevertheless crucial to the tiny community in which it was being played out. Every man killed, lost or taken prisoner was a tragic loss to his family, home or town. The one name that stands out in our French and Indian War drama was Col. Peter Schuyler, identified as a Newarker, although he was a resident of what is modern-day Hudson County. At that time, Schuyler's county seat was listed as Peterborough at Newark, on the Passaic, which was also an important colonial mining center. Born in 1710, he lived until 1762. He was the fourth son of Are'nt Schuyler, who purchased a large tract of land from Isaac Kingsland in an area identified as New Barbados, and as early as 1713 began mining its rich copper ore. The operation became so important that more than 13,000 tons were exported to England by 1730 under the old English mercantile system. After Are'nt Schuyler's death and that of his older brother, the copper mine and steam engine built for pumping water from the mine shafts, were transferred to Peter as part of his sizable estate. Later the mine was purchased by Josiah Hornblower and it continued in operation under different owners until the end of the last century. It finally was turned into a real estate development. Thus was formed the fortune upon which Col. Schuyler was able to operate as a gentleman and soldier. In the 1750s, the unavoidable occurred—a clash between France and Great Britain over the control of all of North America. Great Britain successfully challenged powerful France for control of the northern Atlantic seaboard and mid-Mississippi valley holdings. After a series of bloody encounters, the land was turned over to the King of England. A series of wars, including Queen Anne's War, 1702-1713, which saw the infamous Deerfield, Mass., massacre and was concluded with the Treaty of Utrecht, yielded the Acadian peninsula to Britain. The Tuscorara and Yemassee Wars, 1714-1715, involved Spanish Florida. King George's War, 1744-1748, also known as the War of the Austrian Succession, transferred the great military fortress of Louisburg back and forth and ceded Gibraltar to the United Kingdom. The French and Indian War of 1754-1763, another aspect of the Seven Years War, saw the final defeat of Quebec, the seat of power of New France, as well as the deaths of Gens. Montcalm and Wolfe. In 1763 all of Canada, Louisiana east of the Mississippi, with the exception of New Orleans, and, most important, the apogee of British power in North America, was ceded to Britain. Britain had emerged victorious in an endless, complicated and bloody tug-of-war, setting the scene for an even greater confrontation in a few years—the American Revolution. With the Revolution came the jolting loss of most of her mainland colonies only a few years after a great victory over her mortal enemy. The opening military action started in the fall of 1746 when Col. Peter Schuyler and five companies marched north to Albany on their way to the Canadian front, only to discover that poorly laid battle plans and the lack of sufficient supplies had cut short the campaign. Schuyler and his men remained to assist the New York volunteers guard their frontier until June of the following year. After returning to Newark and Essex, the men complained about not having been paid by the New Jersey Assembly. Schuyler took it upon himself to pay many of the expeditionary expenses out of sympathy for his troops. While this did much to endear him to the men and put him in extremely good standing with the king, it brought criticism from New York Gov. Clinton. Generally, it was thought that New France would adhere to past peace agreements. But words were to prove worthless. Constant military meddling from the north brought repeated invasions into the English colonies, as well as an ever-present fear of future military intrigues. Aaron Burr Sr., president of the College of New Jersey and pastor of Newark's Old First Church, preached a fiery sermon Jan. 1, 1755, which was printed and widely circulated. In it, he pointed out the growing power of the House of Bourbon and speculated that it was attempting to become the 'universal monarchy.' Burr also addressed the possibility of renewed military actions and French treatment of their Huguenot population, calling for united resistance to France. In so many words, he had declared war against colonial New France from the pulpit of Old First, Newark. Relations between New England and New France had deteriorated to such an extent by 1755 that a second expeditionary force was launched against the north. At this point New England was girding for the attack that would drive it into the sea. Burr wanted France expelled from North America. All manner of correspondence was being circulated concerning the French military menace in the New World. A letter from New Jersey's Governor Belcher to Sir John St. Clair stated in September 1755, '(French) Canada must be rooted out or the Crown of Great Britain may soon lose all it at present enjoys in these Colonies of North America.' St. Clair though it 'absolutely necessary for the Several Colonies (from Nova Scotia to Georgia) to raise twenty-five thousand men and five thousand more to be sent from Great Britain to be Incorporated with them and thus to pursue the matter of extricating the French or they will in course of a little time drive all his Majesty's subjects in the sea.' On March 10, 1755, Col. Peter Schuyler and his men again marched north with the blessings of the New Jersey Assembly. They were eventually stationed at Oswego, but on August 15, 1756, the garrison of 1,400 men fell to an attack by Gen. Montcalm and his 5,000 soldiers. The first news received at Albany was that Schuyler and most of the New Jersey force had been lost. Not so. 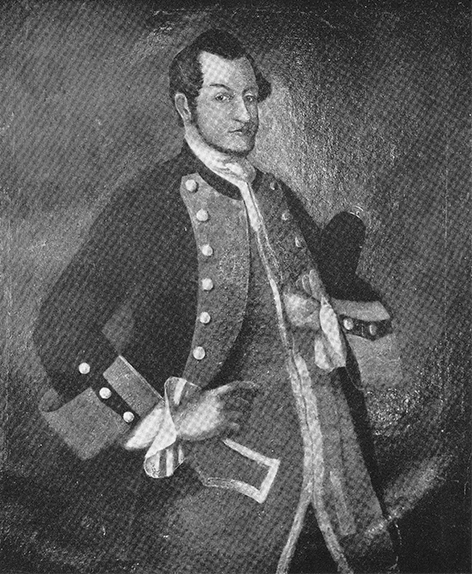 Schuyler was captured and later paroled on the condition that if a French officer of equal rank was captured, there would be an exchange. In the meantime Schuyler returned home. Eventually, he returned to Montreal since no officer had been captured and submitted to his own incarceration. While in jail he ministered to his men. In 1756, he and his entire force were set free. Calls for expeditions continued. In both 1759 and 1760, Schuyler was asked to command a thousand troops who saw hard fighting north of Albany. But he was tired and returned to Peterborough sick in the spring of 1761. He died there in 1762. The Pennsylvania Journal of March 8, 1762, reported 'he departed this life at his Seat at Newark in East Jersey, greatly and justly lamented. He did honour to his Country, and gave a noble example to others. And it will be allowed by all who knew him, that he was a sincere friend, humane, beneficent and just to all mankind.' Samuel Smith, New Jersey's first historian, described him as 'being of frank, open behavior, and an extensive generosity and humanity and unwearied in his endeavors to accomplish whatever appeared of service to this county.' Eventually, the seemingly endless war came to an end in 1763 with the signing of the Treaty of Paris. North America was now English, Newark had its first real military hero, and so the name Schuyler takes its place alongside Abraham Pierson and Robert Treat as one of the old township's most important pre-Revolutionary War champions.